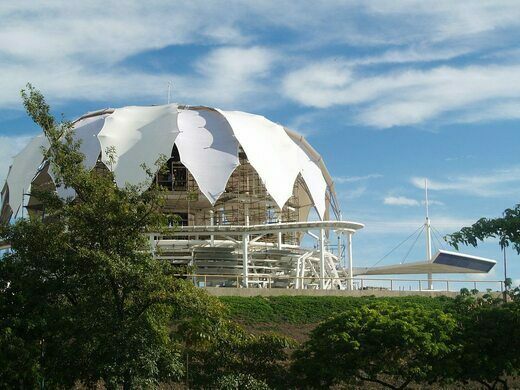 This iconic pavilion in Barquisimeto has a roof made from 16 “petals” that open and close depending on the weather. 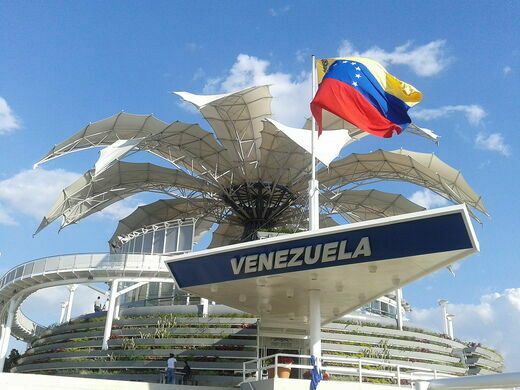 When Venezuela went to the Expo 2000 World’s Fair in Hanover, it wanted to present the theme of “Venezuela! A Flower for the World.” Its pavilion, therefore, was designed to represent a flower with 16 huge petals that open and close. 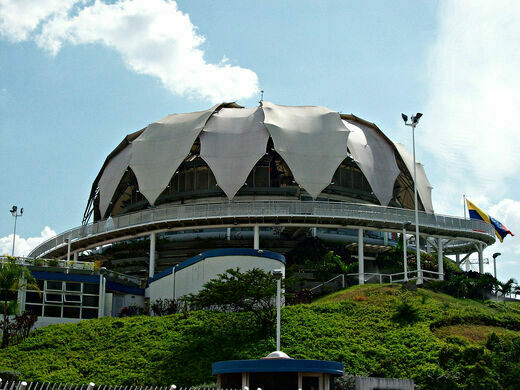 The Flor de Venezuela, also known as the Flor de Hanover, was designed by the acclaimed Venezuelan architect Fruto Vivas. Vivas took his inspiration from the tepuis, or table-top mountains, that rise up in the Gran Sabana, and more directly from the national flower of Venezuela, the orchid. 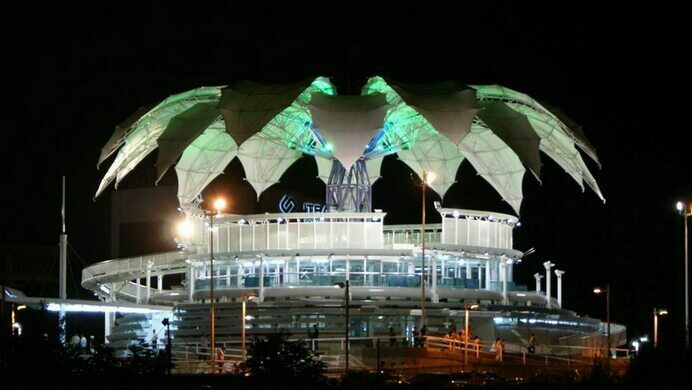 The pavilion was designed and built for the Expo 2000, a World’s Fair held in Hanover, Germany, and its kinetic, naturalistic design certainly caught the attention of passersby. The roof of the glass building was made using 16 petals, each at least 33 feet (10 m) long, attached to a central mast in the glass-fronted building. A hydraulic system allows the petals of the artificial flower to open and close, a function that isn’t only aesthetic: when the weather turns, the flower can be closed to keep out the wind and rain. 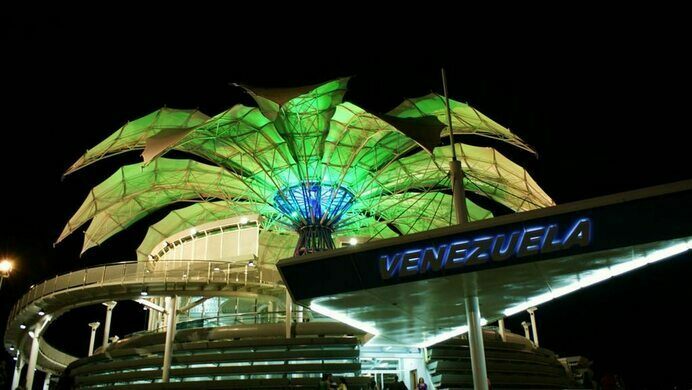 After the Expo 2000, the Flor de Venezuela was moved in stages to the city of Barquisimeto in the northwest of Venezuela, about 160 miles (260 km) west of Caracas. It took time, however, and the pavilion was finally inaugurated in its current location in 2008, under state ownership. The three exhibition levels of the 60-feet-high pavilion are accessed by a central spiral stairway (or elevator). Visitors walk up through the levels, where thousands of plants and numerous aquariums display the country’s biological diversity. There’s also a library and small amphitheater for shows and exhibitions. And at night, the whole building is illuminated, creating one of the most iconic landmarks in the city, and one officially recognized as part of the Cultural Patrimony of Venezuela. 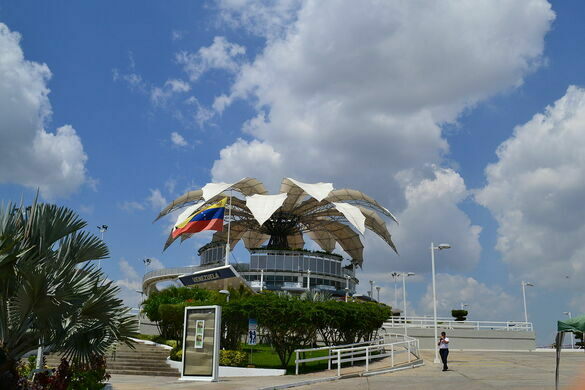 The Flor de Venezuela is located at the intersection of Avenida Venezuela and Avenida Bracamonte, just to the east of downtown Barquisimeto. Entrance is free unless there’s a special event taking place. The pavilion is open Tuesday to Saturday from 9 a.m. to 6:30 p.m. and Sunday from 9 a.m. to 5:30 p.m.
Like something out of a pulp adventure, this abandoned plane wreck is slowly being retaken by the Caribbean jungle.